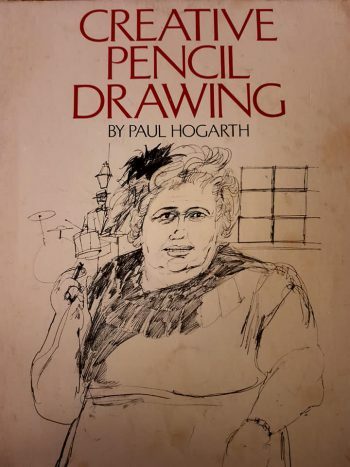 One of the first books I managed to obtain in my Paul Hogarth collection was Creative Pencil Drawing. Published by Studio Vista in 1964 it was the first of Hogarth’s ‘How To’ books and gives fans of Hogarth and art in general a fascinating insight into one of the 20th century’s leading artists in his field of journalism, architecture, caricatures and of course, his considerable work for Penguin books amongst many others. 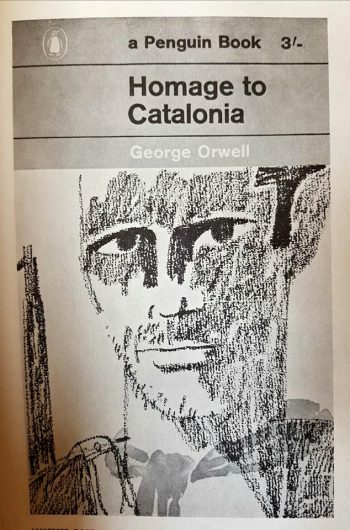 Hogarth won particular praise for his work for Penguin Books, his 1962 cover for George Orwell’s Homage to Catalonia is memorable for its eye-catching simplicity. He drew the picture twice the production size in soft charcoal and coloured in the scarf with diluted drawing ink. 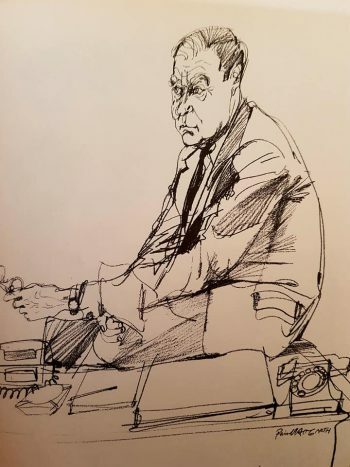 It was a style which would be seen on a number of Graham Greene jackets reprinted in paperback by Penguin and one which is unmistakably Paul Hogarth. None of Hogarth’s tutorial books offer step-by-step guides to drawing. These are designed for the intermediate and above but more importantly, they are perfectly accessible for those simply interested in his art and travels. Hogarth was a travelling artist and covered all of the major countries during the Cold War years from the fifties until the mid eighties. 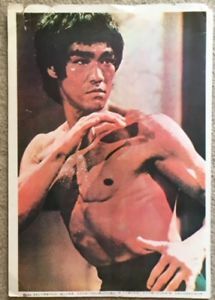 One of those major countries was of course, China and Hogarth travelled there in 1954 at the request of the London News Chronicle to illustrate a series of articles by the great James Cameron. This drawing was made to highlight how the Chinese gave women equal opportunities to become skilled factory workers. One suspects the reasons were not entirely for the benefit of women but Hogarth captured it and featured this in his book Looking at China (Lawrence & Wishart 1954) Amusingly, Hogarth recalls the “extraordinary curiosity about my drawing routine” describing how hawkers, peddlers and hordes of children would gather to watch him draw. During a session in Canton as he attempted to draw a tea house he was besieged by hundreds of locals all eager to see a Western face. Despite his interpreter’s best attempts to call for calm he had to escape to a second floor window to escape before finally giving up and going to lunch! The artist’s career took place during a sustained period of tension and conflict across the globe and in 1959 he captured this image of Belfast, Ireland. 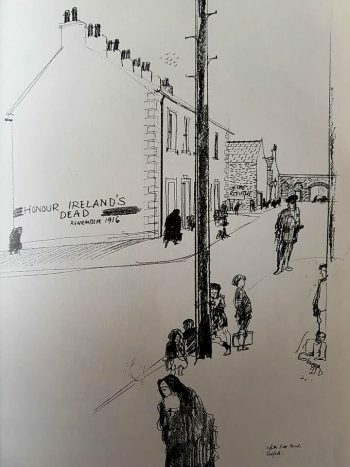 Hogarth’s connection to the country and its peoples would become magnificently evident in his collaboration with the writer and poet Brendan Behan in Brendan Behan’s Island (Hutchinson 1962) Of the drawing opposite he wrote: ‘In this grim industrial city, streets can still be battlegrounds. Slogans stand out on the grim black walls like theatre sets of dramas for which the actors are in constant rehearsal’ This particular piece is symptomatic of Hogarth’s journalistic style in capturing scenes and people. They look, at first glance, quite simple sketches but they are not. This is the work of an artist who was an avid observer of people and places. He studied his subjects and got beneath the surfaces of cities like Belfast to give his audience the insight most would seldom get to see. In 1956 Hogarth was in Bulawayo in the then Southern Rhodesia. 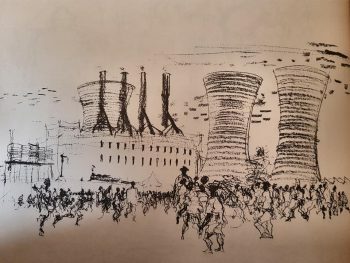 For this piece he describes how, driving back from a day’s landscape drawing, he saw ‘animated, jostling Africans spill out of a nearby plant’. Eager to capture the scene, he returned the following day an hour before their work would end and drew in the background. As soon as the whistle blew for work to cease he had some fifteen minutes to quickly capture the exodus of locals leaving the factory. This, from Sons of Adam (1958) reminds us of what actually went into many of Hogarth’s drawings. Yes, he used cameras on occasion but his initial draughts were recorded in situ and often under very trying circumstances. 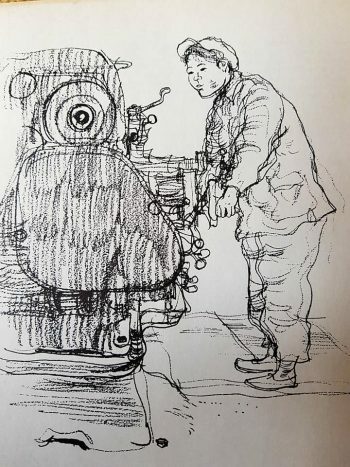 Creative Pencil Drawing is far more than a guide to drawing, it is also a collection of images from his earliest works which are now very difficult to obtain and worthy of preservation. Hogarth was capable of the most simple sketches to capture the essence of a book or place or, in the case of this piece opposite, works of great depth and detail. So I shall end with this, his capture of a court performance of Romeo and Juliet at the Great Hall of Greenwich Palace. 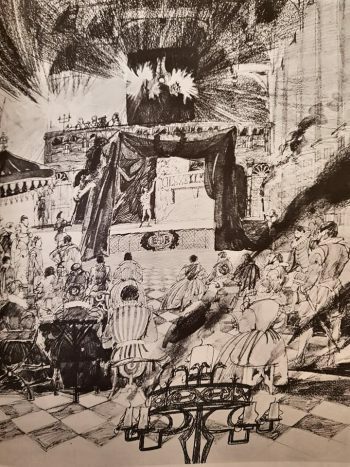 A Life Magazine illustration with graphite pencil for Life’s special issue on Shakespeare in 1964. This is one of Hogarth’s easier titles to find and well worth looking out for. 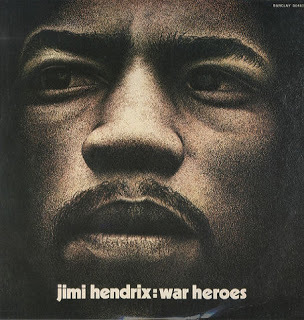 A bibliography of his work as well as further information on the artist can be found here. For those wishing to know more about James Cameron the journalist, please click here for his bibliography. would you recommend Creative Pencil Drawing? Yes I certainly would, it gives a good account of his work up to that point (1964) and of course his sketches are wonderful. 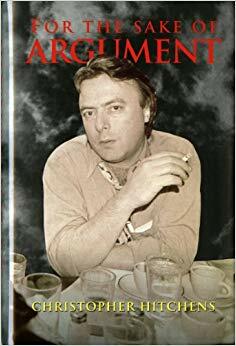 I would certainly buy it again.